MINISTER FOR HEALTH Simon Harris is coming under increased pressure for not acting sooner in relation to the National Children’s Hospital’s massive cost overrun. After it was revealed that Harris knew of the cost overruns months before the rest of Cabinet were informed, Sinn Féin said that his position was “untenable” and called on him to be fired. This morning, Taoiseach Leo Varadkar told RTÉ that he has “total confidence” in Harris as Minister for Health, saying that had Harris informed him of emerging overruns, “I would have instructed him to do exactly what he did”. 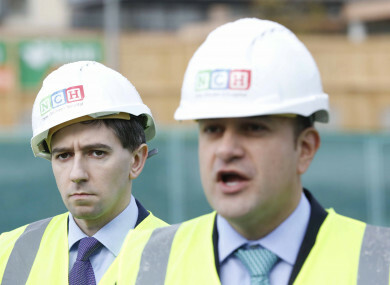 What do you think – should Simon Harris resign as Minister for Health over his handling of the cost overruns in relation to the National Children’s Hospital? Email “Poll: Should Simon Harris resign over the Children's Hospital cost overrun?”. Feedback on “Poll: Should Simon Harris resign over the Children's Hospital cost overrun?”.